But what if I always did? In this instant you and I can live together. And in the coming minutes, breathe on, live on. If you must live, live delightedly. Live in the how of now. Shouldn’t spirit give birth to spirit? Our truest nature is beyond this surface. Keziah is a poet, singer fashion designer and graduate architect. She has performed her poetry at different poetry platform: La Poetista, Open Mic, Lyricist Lounge, Nafasi Chap Chap Festival, Noisy Pen Recitals and Jeans and Tshirt in Tanzania and Poetry In Session in Uganda. She is an organising member of La Poetista, a group dedicated to encouraging and growing poetry in Tanzania. She also founded Noisy Pens [2010 – 2013] which was a forum for sharing and improving poetry through meetings and recitals. She is the founder of ‘kea apparel’ and East African clothing brand that was started in January 2015. She graduated with a Bachelor of Architecture in 2013 from Ardhi University in Dar es Salaam and currently works at Architectural Pioneering Consultants Limited in the same city. 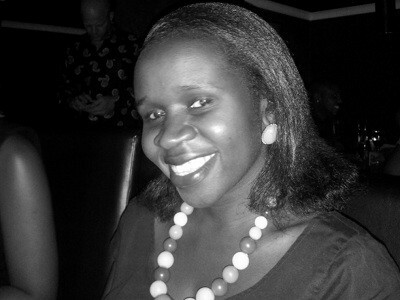 In addition, she has worked with Anza, an East African architectural magazine as sub editor from 2012 to date.